European digital label press installations overtook conventional press sales for the first time in 2017, according to the latest FINAT RADAR. Published twice a year by the international label association FINAT, this market monitor report compiles focused research and analysis based on surveys conducted by LPC Inc. FINAT RADAR also reported that 2017 was a year of growth for the non-prime label sector. 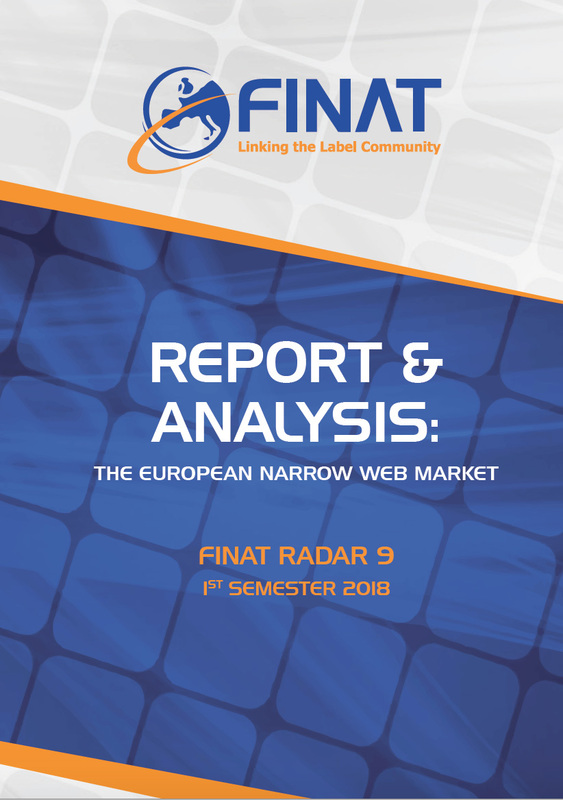 The ninth edition of RADAR provides a unique perspective on the trends and developments in the European label and narrow web industry, its markets and its prospects. In addition to data and analysis obtained from the RADAR Converter Survey, it contains a special section on the evolution of digital printing, and the inaugural edition of the FINAT Digital Press Index featuring press installation volume figures from every European digital label press manufacturer for 2017. The latter found that 2017 was the first year that, with nearly 300 digital press installations, the volume of newly added digital label presses surpassed that of new conventional label press installed volumes. This is a trend that is set to continue, with 45% of FINAT converters indicating they will be purchasing a digital press over the next 18 months, with inkjet projection volumes surpassing toner-based and hybrid system projections. The RADAR report also included details about investment levels for digital presses. Nearly 60% of digital presses sold into the European marketplace in 2017 were in the price range of €250,000 to €750,000. 10% of digital press installations were priced below €250,000, and 8% of installations were more than €1million. Historical RADAR analysis has often indicated that highest growth sectors for converters were the prime label markets of food, beverage, health and beauty. However, in this year’s RADAR Converter Survey, respondents indicated that 2017 was a year of robust growth in markets such as automotive, consumer durables and industrial chemicals. The only prime label market that was among the four highest-growth sectors for 2017 was the beverage segment. The survey also asked converters to rate specific technical application areas and to indicate their criticality when it comes to customers and prospects. More than one in four converters indicated that the ability to offer digital printing capabilities was critical, while just 4% said the ability to offer digital was ‘not important.’ After digital, the next most-critical ranked criteria included removable adhesives, low migration inks and extended text/extended content labels. FINAT RADAR is an in-depth, reliable portrait of the current status in the label industry. It is now recognised by members as a valuable complement to the association’s extensive portfolio of industry-standard technical publications and its programme of annual events.